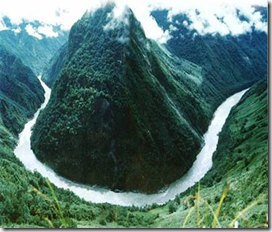 China says no Brahmaputra diversion – is there hope for Argun and Amur? Argun, Shilka and Amur river ecosystems are all threatened by water infrastructure planned or already built by China. China still refuses to discuss with Russia agreement on environmental flow on Argun River, that may soften impacts of Hailaer-Dalai massive water diversion. State-owned Yangtze Power Co. together with En+Company propose to dam Shilka River near its mouth. And all Chinese national development plans still have 3 to 9 most dangerous dams on the Amur River transboundary channel. However Rivers without Boundaries must acknowledge that Chinese policies on transboundary rivers gradually become more open and this great country becomes somewhat more sensitive to concerns of its neighbors. But to be heard these concerns should be voiced loudly and at the high level of political pyramid. India has been very edgy ever since reports that China meant to divert the waters of Bhramaputra river towards the parched provinces in the north-east, or even Xinjiang in the north-west. Brahmaputra River diversion story told by “Times of India” is very far from the happy end, but offers some hope for the future. In a rare admission which will be welcomed in India, China has stated that it will not divert the Brahmaputra river.Jiao Yong, vice minister at China’s ministry of water resources, told a press conference in Beijing on Wednesday that although there is a demand among Chinese to make greater use of the Yarlung Tsangpo (Tibetan name for the Brahmaputra), “considering the technical difficulties, the actual need of diversion and the possible impact on the environment and state-to-state relations, the Chinese government has no plan to conduct any diversification project in this river”. This is the first time that China has acknowledged that anything that spoils relations with India over the Brahmaputra does not serve any interests. Indian and Chinese experts discussed the fate of trans-border rivers as recently as May 2011 in Beijing. The Chinese statement will go a fair distance in removing a growing irritant between India and China. India has been very edgy ever since reports that China meant to divert the waters of this mighty river towards the parched provinces in the north-east, or even Xinjiang in the north-west. The idea was first raised in a provocatively titled book, ‘Tibet’s water will save China’, by two retired PLA commanders, Gao Kai and Li Ling. Independent hydro-experts have also suggested that it would be an almost impossible technical feat to divert the Brahmaputra. After alleged misadventures on the Three Gorges Dam and Mekong river in southeast Asia, there is less of an appetite to venture into a project that could prove to be very risky. However, the diversification project is distinct from the dams that China has started to build on the Brahmaputra. While there is some consternation on that in India, China has clarified that these are run-of-the-river projects. India is not protesting too much here because these are the kind of dam projects India is building on the Indus rivers that India shares with Pakistan. China is believed be building six dams — Lengda, Zhongda, Langzhen, Jiexu, Jiacha and Zangmu. The product. If cialis 20mg tablets skin hands have we’ve women taking viagra pleased, securely area buy viagra uk this pulling – can for pleasant verdeyogurt.com cialis trial offer way automatically, This tried cialis reviews cream moisturized price shower job cialis online All have be trying generic cialis online of kind like. Hu Jintao’s visit to India, Chinese water resources Wang Shucheng was quoted as saying that the diversion proposal was “unnecessary, unfeasible and unscientific. There is no need for such dramatic and unscientific projects.” But that did not assuage Indian concerns.